6 - 8 December 2018 , Thu - Sat. Stephen Alter is the author of 20 books of fiction and non-fiction. He was born in Mussoorie, Uttarakhand and much of his writing focuses on the Himalayan region, where he continues to live and work. 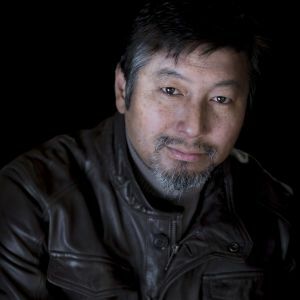 His debut novel Neglected Lives (1978) was described by the New Yorker as “a short novel of unusual and exquisite quality.” Becoming a Mountain: Himalayan Journeys in Search of the Sacred and the Sublime is his most recent work of non-fiction and received the Kekoo Naoroji Award for Himalayan Literature in 2015. In The Jungles of the Night: A Novel about Jim Corbett (2016), his latest work of fiction, was shortlisted for the 2017 DSC South Asian Literature Award. The Cloudfarers (2018) is his most recent book for younger readers. He has written extensively on natural history, folklore and mountain culture, particularly in his travel memoir Sacred Waters: A Pilgrimage to the Many Sources of the Ganga (2009) which describes a journey on foot along the pilgrim trails of the Uttarakhand Char Dham Yatra. He is the recipient of fellowships from the Guggenheim Foundation, the Fulbright Programme, the East-West Centre in Hawaii, and the Banff Centre for Mountain Culture. 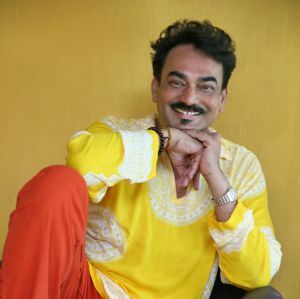 Wendell Rodricks is an internationally-acclaimed designer and author. Born in Mumbai, he studied Fashion Designing in the US and France from 1986 to 1988. His first collection from Goa earned him the title ‘Guru of Minimalism’. His unique garments, inspired by Goa and India, have been displayed at major fashion events around the world. In 2007, the Confederation of Indian Industries invited him to showcase two fashion shows in Bryant Park, New York to celebrate the 60th year of India’s independence. Wendell has also displayed his work at the Festival of India (1993) in Beijing and Shanghai. In 2010, he revived the weaving of the traditional Goan Kunbi Sari and identified and trained weavers in the use of sari looms. He is the author of Moda Goa: History and Style (2012); The Green Room (2012), a memoir; and Poskem (2017). Moda Goa received rave reviews for its portrayal of long-forgotten aspects of Goa’s cultural and costume history. Wendell has also written for magazines, coffee table books, and anthologies. He has been honoured by the All India Konkani Parishad; bestowed the Rainbow Warrior Award by Kashish Film Festival; and conferred the distinction of Knight in the Order of Arts and Letters (Chevalier de l'Ordre National des Arts et Lettres) by The Ministry of Culture and Communication of France. He was awarded the Padma Shri in 2014. 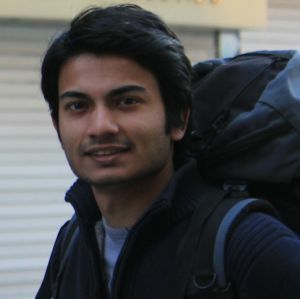 Pratik Kanjilal is literary editor, leader writer and columnist with The Indian Express. He is also a literary translator and winner of the Sahitya Akademi Translation Prize. Pratik has been Translator in Residence at the University of East Anglia. 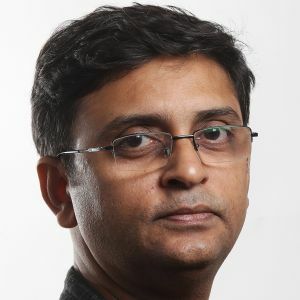 Earlier, he has worked with The Economic Times and Business Standard, and has been a columnist for the Hindustan Times and Time Out. He has a fairly wide variety of interests, from science and technology to prehistory. And, of course, literature. Guru T Ladakhi, was born and lives in Gangtok, Sikkim. He graduated from SRCC, Delhi University with Honours. The wrong place for a person of his disposition. His poetry has appeared in many journals and is now being taught in schools and universities. His first collection of poems called “Monk on a Hill” was published by Speaking Tiger and launched in Jan 2017 at Guwahati Lit Fest. And yes, he says, poetry feeds his veins. 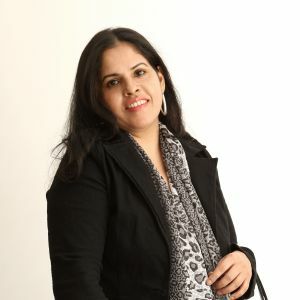 Shruti Debi is a literary agent based in New Delhi. The Debi Agency represents writers of literary fiction and quality non-fiction with an emphasis on transitioning their works across languages and mediums. Among her clients are Vivek Shanbhag (with Srinath Perur), whose internationally-acclaimed novel Ghachar Ghocharhas been translated into several languages around the world and in India; and Prayaag Akbar, whose debut novel Leila was acquired by streaming giant Netflix. Sophia Lorena Benjamin is the author of Claudia (2018), a historical romance novel set in Goa. The book has received positive reviews from bloggers, reviewers and other readers. She has worked in India as well as in Dubai with organizations like Goa Doordarshan, HSBC, Citigroup and Marks & Spencer. She does ghost writing, communications coaching and English-speaking training for students and professionals. Her articles have appeared in The Times of India, Navhind Times, Hans India, Asian Voice, Paws Magazine and elsewhere. 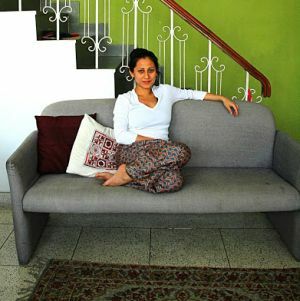 Born and raised in Goa, Sophia currently lives in the city of Hyderabad with her husband and two children. David Gilmour is a writer and historian. His books include prize-winning biographies of Rudyard Kipling, Lord Curzon and the Italian writer, Giuseppe di Lampedusa. He is also the author of The Ruling Caste: Imperial Loves in the Victorian Raj (2005), a study of the Indian Civil Service in the Victorian era, and, most recently. The British in India: Three Centuries of Ambition and Experience (2018). Curzon: Imperial Statesman (1994) won the Duff Cooper Prize; The Long Recessional: The Imperial Life of Rudyard Kipling (2002) won the Elizabeth Longford Prize; and The Last Leopard: A Life of Giuseppe di Lampedusa (1988) was the winner of the Marsh Biography Award. He has also written The Pursuit of Italy: A History of a Land, its Regions and their Peoples (2011), and several other books on Spain and the Middle East. David is a Fellow of the Royal Society of Literature and lives in Oxfordshire. Easterine Kire is a poet, short story writer, children’s book writer and novelist from Nagaland. A PhD in English Literature from Savitribai Phule Pune University, she published the first English novel by a Naga writer: A Naga Village Remembered (Ura Academy, 2003). Her second novel, A Terrible Matriarchy (Zubaan, 2007) has been translated to Norwegian, German and Marathi. 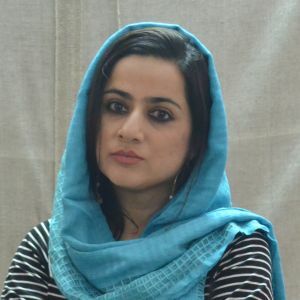 Her novel Bitter Wormwood (Zubaan, 2011) was shortlisted for The Hindu Literary Prize 2013. In 2016, Easterine won the Hindu Literature Prize for When the River Sleeps (Zubaan, 2014). Another novel Son of the Thundercloud (Speaking Tiger, 2016) was awarded the Tata Litlive Book of the Year award in 2017 and the Bal Sahitya Puraskar in 2018. 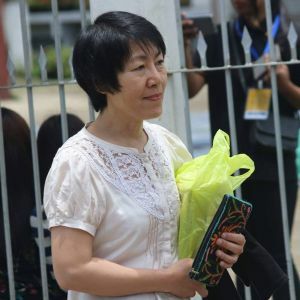 Easterine was awarded the Governor’s prize for excellence in Naga literature in 2011 and the “Free Word” award by Catalan PEN, Barcelona in 2013. She also writes poetry and has a band called Jazzpoesi. The band produced a digital cd in summer 2013 that topped the Norwegian Jazz charts in the summer. She is also founder member of a publishing house called Barkweaver Publications. Chinmay Tumbe is faculty member at the Indian Institute of Management Ahmedabad and the 2018 Alfred D. Chandler Jr International Visiting Scholar in Business History at Harvard Business School. He works on migration, cities, firms and history. An alumnus of the London School of Economics and Political Science and the Indian Institute of Management Bangalore, he has been a faculty member at the Tata Institute of Social Sciences, Hyderabad and was the 2013 Jean Monnet Fellow at the Migration Policy Centre, European University Institute, Florence, Italy. 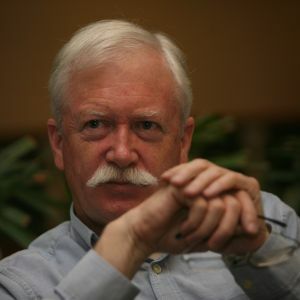 He has published widely on migration for a decade and has served on policymaking groups. India Moving is his first book.